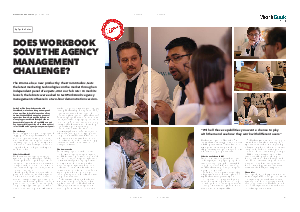 Five leading agencies tested the WorkBook Agency Management system in a recent Drums Labs workshop. Testers quickly discovered the wealth of functionality, the high level of usability and the full integration that WorkBook provides to agency businesses. For more information please visit workbook.net.